Joining the chairs, armchairs and bar stools of the Form Series by Simon Legald for Normann Copenhagen is a version with the ability to swivel. The swivel chair looks more masculine than the other pieces in the collection and provides more freedom of movement for meeting rooms, restaurants, or in the home. 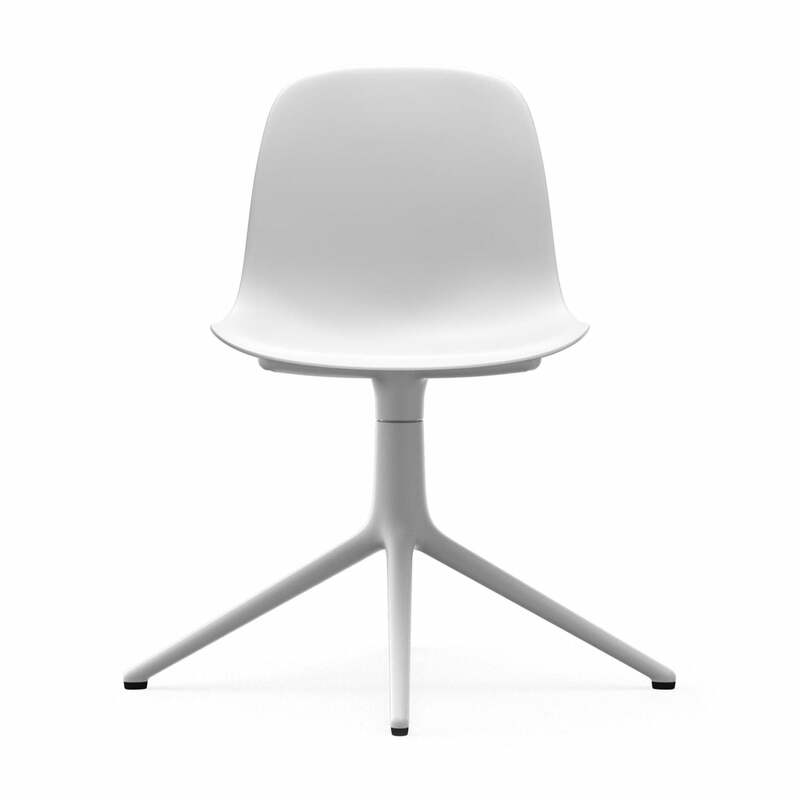 The Swivel Chair features the same seat as the rest of the Form series, made in polypropylene in different colours, while the Form’s swivel frame is available in black, white and polished aluminium. The frame holds the seat shell on slender arms, which meet in the middle and become four chair legs. With over 40,000 combinations possible, the Form collection leaves no wish unfulfilled and can be mixed and matched according to taste. The swivel chair is also available with armrests and/or wheels. 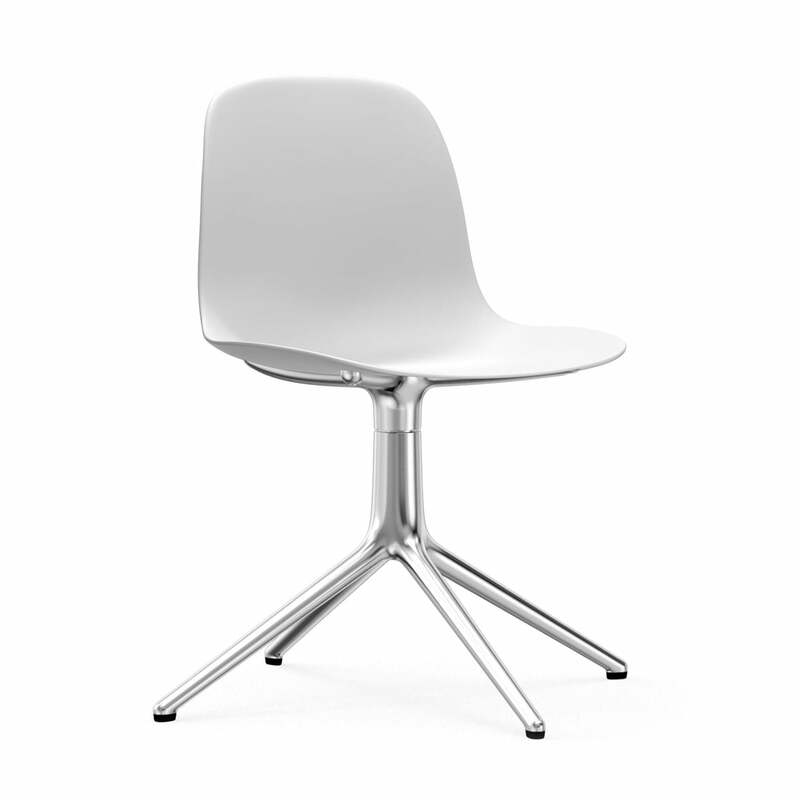 The Swivel Chair features the same seat as the rest of the Form series, made in polypropylene in different colours, while the Form’s swivel frame is available in black, white and polished aluminium. The swivel chair looks more masculine than the other pieces in the collection and provides more freedom of movement for meeting rooms, restaurants, or in the home. Joining the chairs, armchairs and bar stools of the Form Series by Simon Legald for Normann Copenhagen is a version with the ability to swivel, made from polypropylene and aluminium.